Microsoft has revealed a milestone in sales for Windows 8, with Executive Vice President of Marketing, Tami Reller, saying the company has sold 200 million licenses of the operating system. The last time we heard about Windows 8 sales it was back in May 2013, when Microsoft passed the 100 million copies sold milestone. In the first 12 months on the market, Microsoft sold 240 million copes of Windows 7. With Windows 8 having launched on October 26, 2012, it's now 15 months since launch and only 200 million copies of Microsoft's newest operating system have been sold. 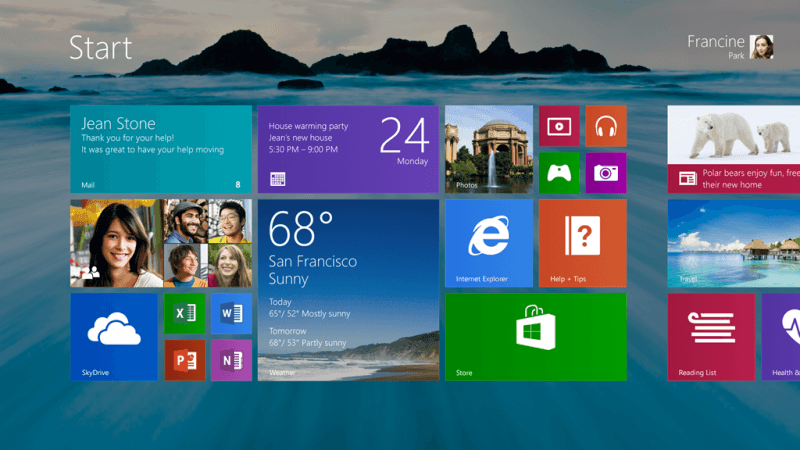 The less rapid take-up of Windows 8 can be attributed to a number of things. Consumer perception of the operating system and its radical changes, such as the inclusion of the touch-friendly 'Modern' interface, hasn't exactly been positive, especially among keyboard and mouse users. Also, the PC market is currently shifting away from traditional desktops and laptops to tablets and other touchscreen devices, where iOS and Android are fierce competitors. Microsoft's sales figures for Windows 8 include licenses sold to OEMs and Windows 8 upgrades, but not volume licensing sales; it's also not clear whether Windows RT has been included in the figures. Windows 8.1 Update 1 is just around the corner, and early leaks of the operating system update have revealed a focus on improving the experience for mouse and keyboard users. Whether the improvements and new features in the update will convince more people to upgrade remains to be seen.